Club Penguin’s Project Super Secret To Be Called Club Penguin Remix and Be Released In 2017? In case you didn’t hear earlier this month, which you likely may have, it was discovered that on the portfolio of someone who has done artwork for Club Penguin throughout the years it listed “Club Penguin Remix, which many speculate to be Club Penguin’s Project Super Secret. Club Penguin was supposed to update their newspaper on Wednesday when they released a new pin, but they never did. Was it yet another bug, or something more? Curious, players contacted Club Penguin Support and asked. The answer? 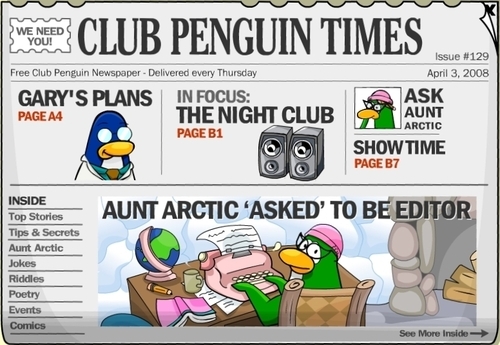 The Club Penguin Times newspaper will now be released every other week rather than every seven days. Less than a year after laying off more than 60 employees, Club Penguin has decided to let go of 28 more. It’s about time! 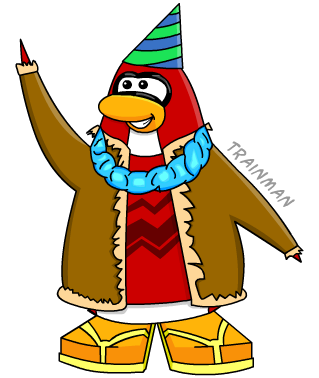 After first making their way to Club Penguin in November last year, Operation Crustacean has finally ended and the alien puffles have left the Club Penguin island. The Dock is finally clutter free again. Will French Be The Next Language on Club Penguin to Get the Boot? Back in September Club Penguin took down the German and Russian versions of the game, and, if history repeats itself, French may be the next one to go.